Anderson-Negele offers a wide range of different Process Connections for the Food & Beverage industry as well as for the Biopharmaceutical industry. Besides the systems CLEANadapt and FLEXadaptfor the Food & Beverage industry we also offer process connections that were specially developed for the high requirements of pharmaceutical applications: PHARMadapt ESP, PHARMadapt EPA and CPM. CLEANadapt – is a hygienic system that can be used with almost every sensor from Anderson-Negele. 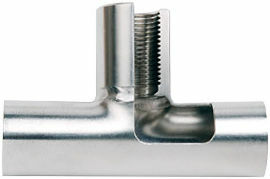 By offering a multitude of adapters for all common process connections the CLEANadapt system can be used very flexibly. FLEXadapt ESF - Temperature measurement in pipes from DN20 on and vessels without direct contact between the sensor and the medium. 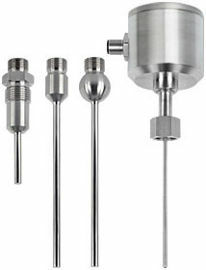 Sensors can be removed without opening the process line. In addition to pre-fabricated build-in systems, adapters even for vessels as well as a full range of compatible temperature sensors are available. PHARMadapt ESP - Temperature measurement in pipes from DN10 on and vessels without direct contact between the sensor and the medium. Sensors can be removed for inspection and recalibration without opening the process line. In addition to pre-fabricated build-in systems, various adapters even for vessels as well as a full range of compatible temperature sensors are available. 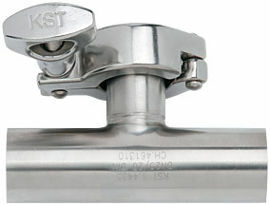 PHARMadapt EPA – Aseptical, gap free process connection for temperature measurement and limit detection in pipes from DN10 on. Sealing to process results from exchangeable O-rings. CPM - Gap free, front flush pressure measurement in pipes with small diameters from 1/4"on with standard pressure sensors.